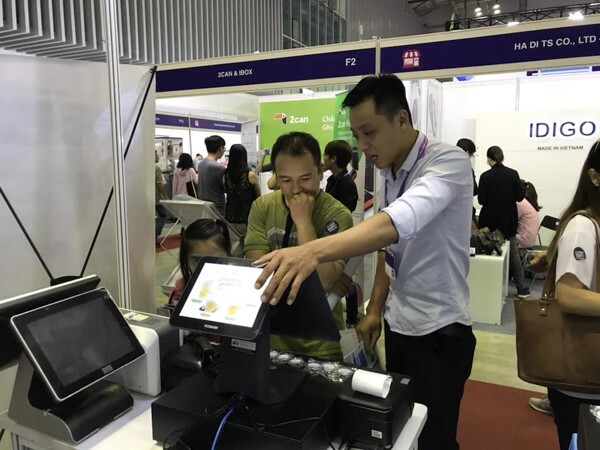 KAS booth at Vietnam International RetailTech and Franchise Show at SECC. The show was filled with exhibitors from countries all over the world, including Korea, Vietnam, Singapore, Malaysia, Thailand, and more. According to last year’s exhibitor survey, 92% of exhibitors indicated that they were satisfied with the exhibition and the results, and 81% of exhibitors indicated that they would participate in the show again. 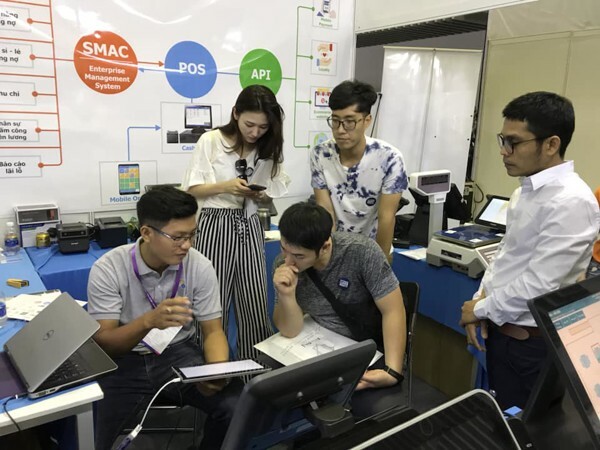 KAS, as one of the leading providers of POS solutions in Vietnam, took advantage to highlight its quality software and hardware solutions on the exhibition. It was an opportunity that can never be underestimated since international traders and entrepreneurs gathered in one marketplace to find new solutions, new opportunities and new partners. Mr. Long presented how convenient and user-friendly our touch PC terminal. Our goal is to create brand awareness and expand business not only in Vietnam but also in the international market. 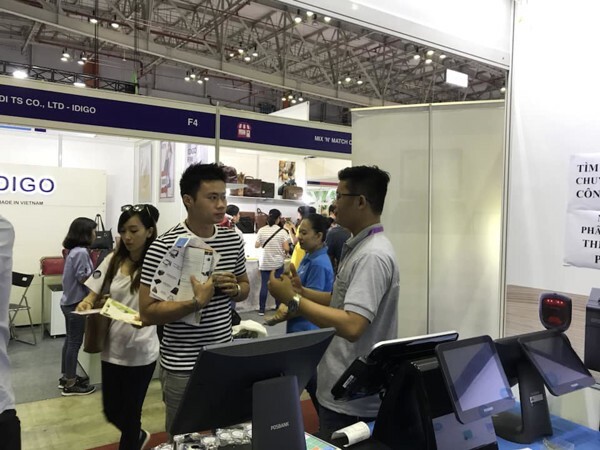 Mr. Anh of KAS answered customer queries at the exhibition. Not only that, we were eyeing on suppliers of POS machines and printers manufacturers from Korea and Taiwan, hoping to become partners of our respective businesses. The three-day event was highly successful not only for KAS, but also for other traders, entrepreneurs, manufacturers, businesses and the like.